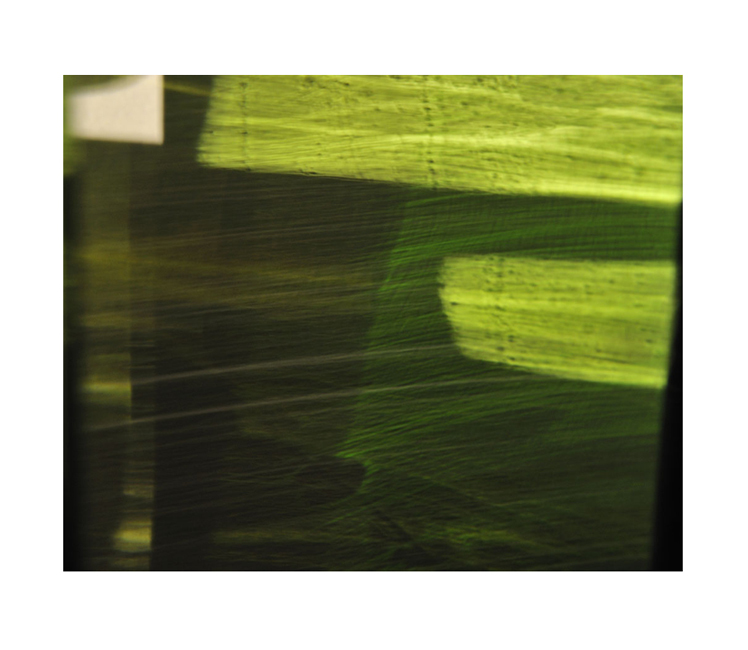 GREEN VEIL (2013): Limited Edition of 5 and 1 AP. This photographic abstract is created in-camera by the artist using experimental light techniques, not by post production retouch or computer manipulation. It is printed with archival pigment inks on 100% cotton rag paper, with a 2” border and hand-torn deckle edge. (Total size is 28” x 34”). Signed and numbered on front. Unframed; Shipped flat or if in Los Angeles, can be white glove delivered. Custom framing is also available. Please inquire. Steven creates abstract photographs in-camera using experimental light techniques, not by post-production retouch, computer manipulation or chemical processes. These non-objective works, often composed using space, shapes and symbols, have a painterly quality when viewed in-person that toys with the viewer’s perceptions of medium and method. Steven began his photographic career in Los Angeles before spending decades in Paris as a leading, award-winning fashion photographer. His photography has been included in more than a dozen books and museum exhibits throughout the world including at the Centre Georges Pompidou in Paris, La Venaria Reale in Turin, Centro Andaluz de Arte Contemporaneo in Seville, and Museum of Fine Arts in Montreal, and is held in important collections in the United States and Europe.